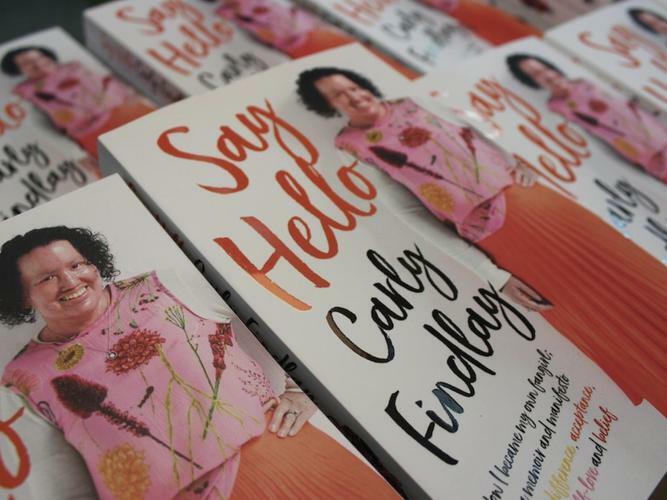 Well known writer, speaker and disability activist Carly Findlay has released her first book, Say Hello. The book is a memoir touching on Ms Findlay’s experiences with ichthyosis, a genetic skin condition, alongside observations on ableism, media representation and beauty privilege. “The book is called Say Hello because that’s what I want people to do, instead of ignoring me, looking shocked or scared, or making a rude comment about my face,” Ms Findlay says. She says she wrote the book for two audiences; people with facial differences, skin conditions and disability, as well as non-disabled people who may not know how to talk to people with disability. Ms Findlay hopes the book is the start of more people with ichthyosis telling their own story. “Representation matters because it shapes the way ichthyosis is seen and lets people with ichthyosis see themselves,” she says. Ms Findlay launched Say Hello on Thursday 24 January at The Wheeler Centre in Melbourne, alongside Australian song-writer Kevin Mitchell, also known as Jebidiah or Bob Evans. Say Hello is published by HarperCollins and is in-store today on Booktopia, Apple Books and in all good bookstores.